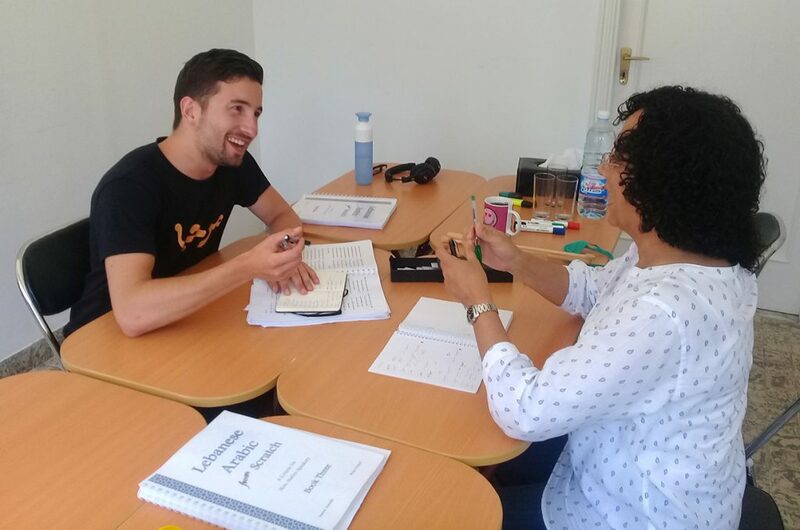 In this video, Olivier Baas discusses his experience learning spoken Lebanese Arabic at the Lebanese Arabic Institute. He explains why he chose to study at the Institute, and describes the progress he has made in speaking and understanding the Lebanese dialect in the two months he has been enrolled. When I think of the Lebanese Arabic Institute, the words that come to mind would be structure and attention for the individual needs of the students. I didn’t start learning Lebanese Arabic at the Lebanese Arabic Institute. I actually started in a different school, and I decided to change because I felt like I wasn’t learning enough from the classes I was getting. So I just went here for… just to see what the school is like and what they had to offer and I did an assessment and I joined a class the same day, and I saw a huge difference straightaway between this class and the class I’d been having, and from that moment I decided to change all my classes to the Lebanese Arabic Institute and continue here. I’ve been learning Arabic at the Lebanese Arabic Institute for just under two months now. When I started here, I was around the advanced elementary level, which meant I had an understanding of the language. I could somehow put sentences together and sometimes get the gist of what people were saying, but not much more than that. Now, a month and a half and a bit later, I’m finishing the fourth book, which means I’m around the medium intermediate level, and actually I’m really surprised by the change I’ve seen in the two months because right now I’m having most of my conversations in Arabic rather than in English except when we’re talking about very specific topics. I’m understanding a lot more when I’m on the street and I hear people say or, in the case of Lebanon, shout something at each other. I tend to now hear what they’re talking about. My family came for a week and we had a taxi driver who didn’t speak English, so basically I was translating all day. These were things I was definitely not able to do before I started a month and a half ago. The thing I find the most important is that I prefer a structured and almost more university-like approach to learning the language rather than a more ‘Oh you’ll learn it as you go’ kind of approach because I think the language is actually so complicated and there are so many rules that if you don’t take the time to learn these rules, sure you might be able to get by saying some basic things, but eventually I don’t think you’ll be able to progress whereas if you’re really willing to learn the grammar, learn the rules, learn the nuances in the pronunciation, this makes a huge difference in becoming intermediate or advanced from just being able to speak some words. This is really an approach I prefer when learning the language, which is why I chose to come here rather than continue learning at my previous school. What happens a lot when you ask anyone who’s not a teacher how to say something or how something is said in Lebanese, they’ll basically just say “Oh, we say it like this.” This is fine, but not when you’re learning the language in class, because in class I think it’s important to know why something is said a certain way. And what I found was happening before a lot is that I would say “Oh, how do you say this?” and the teacher would reply: “We say it like this.” And I would ask “But why do you say it like this?” And the reply would be “Oh, we just say it like this. This is how we say it.” I find this does not help in trying to understand the language, and actually in Arabic I find many things are very related – nouns, adjectives, verbs – they’re all related to the same roots and you can form one from the other if you really understand the rules. So I think it’s important that people explain to you why something means something rather than just say “Oh, we just say it this way”. And that’s why I prefer learning the language from a very… from a more theoretical point of view in class and then practicing the theory in real life. The books used in class are called “Lebanese Arabic from Scratch.” I really like these books because of the way they’re structured. What you’ll find is a chapter might start with vocabulary, and then there’ll be a listening exercise on a story using the vocabulary you’ve just learned, so rather than just memorizing words, you’ll memorize the words and in the next class you’re listening to a story using all these words, and then you might discuss the story and use the words again yourself rather than just listening to them. There’s also lots of grammar explained very clearly. I haven’t come across better books than “Lebanese Arabic from Scratch” to learn the Lebanese dialect. My experience from learning here is that I don’t feel like I’m enrolled in a set curriculum that follows an exact same pattern class by class because that’s how the classes are done. I think it’s much more flexible and tailored to what the students need and what they would benefit from. We laugh a lot in class. We have a lot of fun. Part of pretty much every class, there’ll be at least a 10-minute moment where we’re… It’s almost become a ritual where I tell some sort of story in every class about something that happened or something I was thinking of or… something like this. And I guess this kind of practice, it might not be part of a curriculum but it’s also… there’s space for these kinds of things as well that really help you not only enjoy the classes more but also practice speaking and practice saying the things you want to say in a conversation with someone. I would absolutely recommend to anyone wanting to learn spoken Lebanese Arabic to study at the Lebanese Arabic Institute. Interested in joining a group class? Apply now! 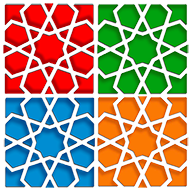 This entry was posted in Students by مؤلف. Bookmark the permalink.